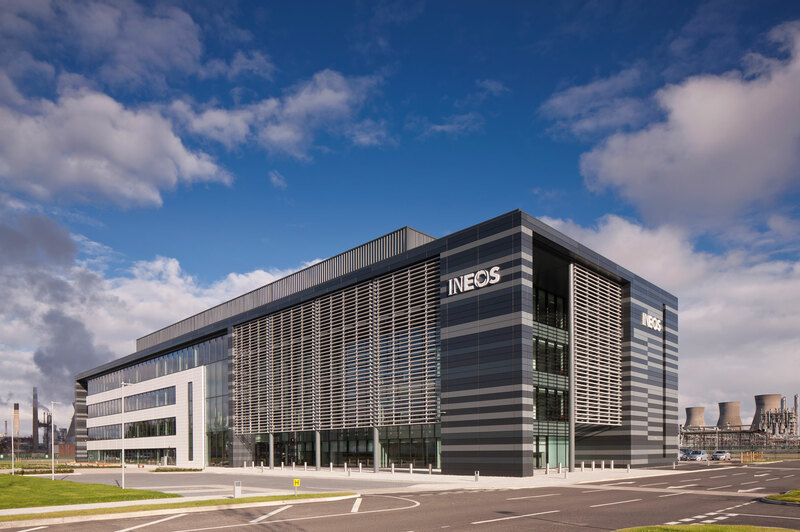 INEOS O&P UK challenged the design team to design a glass fronted ‘City Office’ style building in their Grangemouth Petrochemical plant in Grangemouth. The building location meant it had to be designed to withstand high loads which could be generated should a major incident occur. The team under the guidance of MLA took on the challenge and designed an award-winning response. Woolgar Hunter provided Civil and Structural engineering design services on the project. 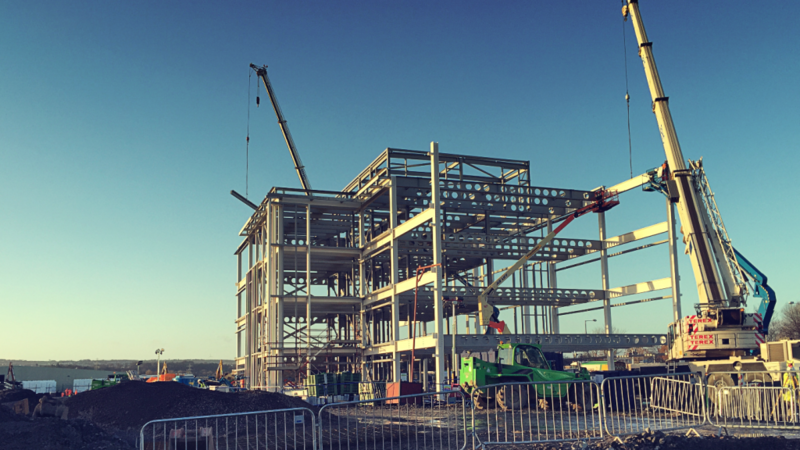 The structural challenges arise principally from the fact that the site is located within the Grangemouth major petrochemical complex and had to be designed to withstand exceptional loadings in the unlikely event of a major incident but still look and function as a modern office building. In addition, the ground in the area is weak and that the new office HQ building had to be designed to take this into account. We worked closely with the MLA to develop a solution for the frame and cladding which addressed the exceptional loading issue but still provided an elegant and economic building. We did this by designing a ductile steel framed structure which is able to safely absorb high loading for a very short duration, rather than the normal practice of stiffer structures dealing with lower loads for long periods. The design of the 70,000 ft2 office building also includes long span floors (18m clear span) and which are integrated with the services strategy to provide an excellent flexible layout for internal space planning.